I have experience photographing the latest men's apparel on a white background. 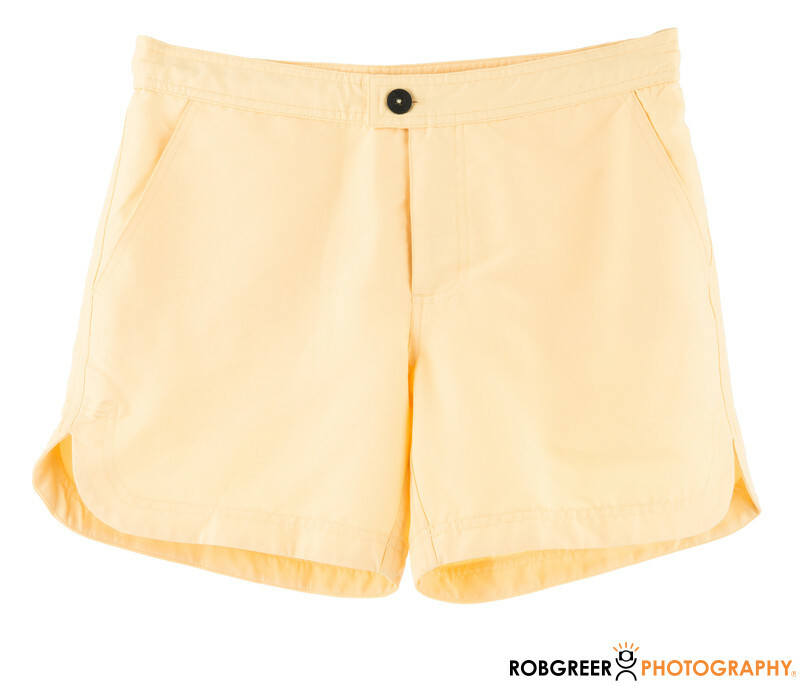 These European-styled swimming shorts from Basze were photographed on a white background to allow this designer to share the images with distribution partners. The slightly mussy feel was intentional while the raking studio light helps bring out the texture of the men’s shorts. When photographing products like apparel, I’m always hoping that the designer will be present so that I can make sure that his or her vision matches what I’m producing with my camera. 1/160; f/14.0; ISO 100; 70.0 mm.